The holiday season is quickly approaching, and we love to include our furry companions in these joyous celebrations. But, leave out some of the stress of party planning by keeping these tips in mind. Before the guests arrive, ensure that your pet is safe and secure within the house. Door dashers can lead to disaster if a pet slips out through a horde of incoming family. If visiting relatives become too overwhelming, be sure that your pet has a private hideaway (maybe large enough for the both of you!). Provide a quiet resting place away from the hubbub of the crowd, and keep your shy pet occupied with her own entertainment. A cozy bed plus some treat puzzles, long-lasting chews, and interactive toys may entice you to join your furry companion in this hideout. Lavish extra attention on your pet before a party to keep her from feeling neglected and under-exercised. Or, while you’re focused on being the best host on the block, ask some of your animal-loving friends and family to give your pet some TLC. If you and your pet are the ones doing the traveling, be sure your pet is allowed to come along as well. Otherwise, arrange for boarding or a pet sitter well in advance of the holidays. Verify that all identification tags and microchip registrations contain current information, airline requirements are met, and that your pet is welcome at the holiday gatherings. Chocolate — While white chocolate contains hardly any toxic theobromine, baker’s chocolate can do some major damage. Play it safe and keep all chocolates and chocolate-flavored treats away from curious pets. Sweets — A common sweetener, xylitol makes an appearance in sugar-free candies, baked goods, and more. Xylitol ingestion is a true emergency. Call us immediately if your pet scarfs down any treats containing this substance. Grapes and raisins — No one knows exactly how raisins and grapes cause death, but avoiding Grandma’s fruitcake and the grape-filled fruit tray is best for your pet. Fatty foods — In addition to packing on those extra holiday pounds, fatty foods can lead to severe pancreatitis. Avoid the turkey skin, ham, and mashed potatoes and gravy, and opt instead for fresh veggies or other pet-friendly options as snacks for your pet. 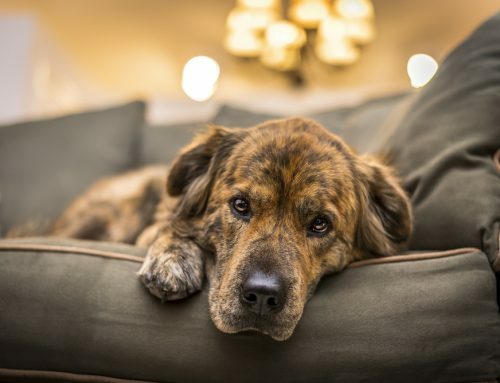 Toxic plants — Lush holiday plants are a mainstay of a beautifully-decorated home, but holly, mistletoe, certain types of lilies, and the Christmas tree itself can cause some serious issues for pets, even death. 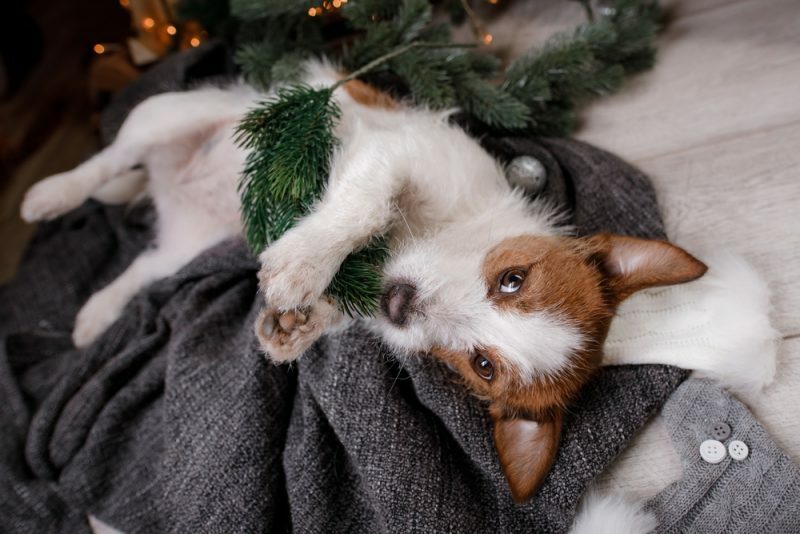 Keep your pet safe by choosing pet-friendly holiday greenery and blocking access to the tree. Lights, tinsel, and ribbon — While kittens tangling themselves in tinsel is a Christmas card-worthy image, one quick gulp can lead to a pricey emergency surgery to remove the gastrointestinal blockage. Inquisitive dogs or cats may also chew on lights and cords running throughout the house, risking electrocution. If your furry companion finds herself getting into trouble during the celebrations, we are here to help. Call us at 937-866-5949. 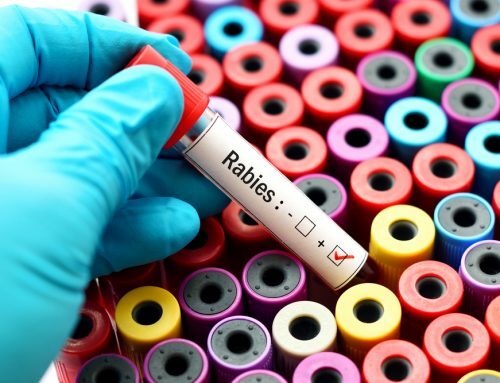 Rabies: Is Your Pet Safe? Scroll down to read the policy in its entirety. We at Twin Maples Veterinary Hospital are happy to provide boarding service for our clients’ pets. 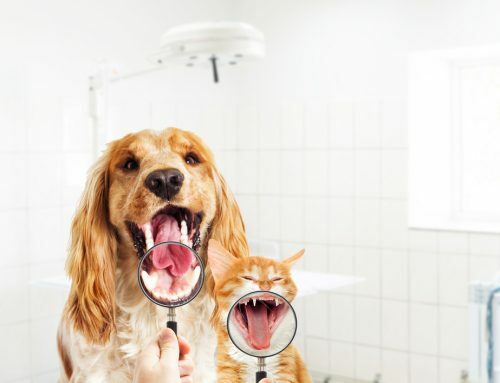 You can be assured of proper handling and proper medical care if it should prove necessary, while your pet stays with us.We ask that owners call for reservations for their pets. Cage space is limited and calling at least a week ahead for normal weeks, and at least one month ahead for holidays will help ensure your pet’s visit.Twin Maples will do everything possible to provide the best possible visit for your pet. Please ask us any questions you may have regarding your pets stay. We prefer to board pets who are current patients of Twin Maples, however, if space allows, we will board pets who are not our patients.We require that all new pets be examined by one of our doctors prior to boarding at our regular fee to ensure that they are currently healthy and to evaluate their temperament. If a pet is ill on admittance, he or she will be treated and billed as a hospital patient. If a pet is deemed behaviorally unsuited for boarding, boarding will be declined. 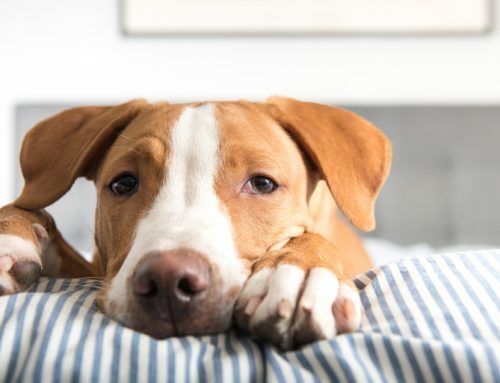 We require that all boarders be up to date on vaccines, including: distemper, parvovirus, rabies, canine influenza, and Bordetella (kennel cough) for dogs. For cats we require panleukopenia (feline distemper), feline rhinotracheitis, calicvirus, and rabies. Feline leukemia virus vaccine is recommended for indoor/outdoor cats.Pets must have completed all required vaccinations at least 10 days prior to boarding. Puppies and kittens must have completed their vaccination series at least 2 weeks prior to boarding and be at least 18 weeks of age.These requirements are designed to keep your pet as safe as possible from infectious diseases while boarding and to protect our debilitated or injured hospitalized patients from infection. We thank you for your understanding. Please bring your pet to the hospital at the previously scheduled time. The receptionist will confirm your date of return and the time for release, if known. If a special diet is needed, or if medications must be given, please bring these and inform the receptionist. Please ask any questions about fees before or at the time of admission. Our staff will be happy to quote our current fees.We ask that owners call before coming to the hospital to pick up their pets. We bathe all boarders prior to release at no charge (if they stay two nights), and your call allows us to ensure that your pet is clean and dry for release.We will not release boarders before 11:00 am without special arrangements being made at the time of admission. Boarders are not released until after noon on Saturdays and Sundays and we do not release boarders on the holidays we are closed. Our boarders are housed in individual cages or runs. Housemates may be boarded together if space permits. Appropriate bedding will be provided for your pet. We ask that you do not bring in towels, blankets, or beds.We encourage some toys such as Kongs and the Cube and will fill them daily with a special treat for your pet. For the safety of your pet we do not allow rawhide bones or rope/string toys. Many pets will bury small toys in their bedding and these may inadvertently be thrown out. For this reason we cannot guarantee return of personal items.Feeding is done in the morning for adults, and twice a day for puppies and kittens, unless otherwise requested. CNM EN is the normally fed ration. If your pet requires a special diet, please bring it with you, or you will be charged an additional fee for the diet, if we have it available.Dogs are walked outside twice daily. Cats receive clean litter twice daily. We're excited to introduce the ability to text us! Click the button below and our team will be happy to help answer your questions.